In this video, Silverbrook Ucatch trout farm owner, Day Hay, demonstrates the easy way to debone trout. First cook the trout using which ever method you prefer – for a quick easy recipe click here. Hold the tail and then use your knife to gently push the meat down. 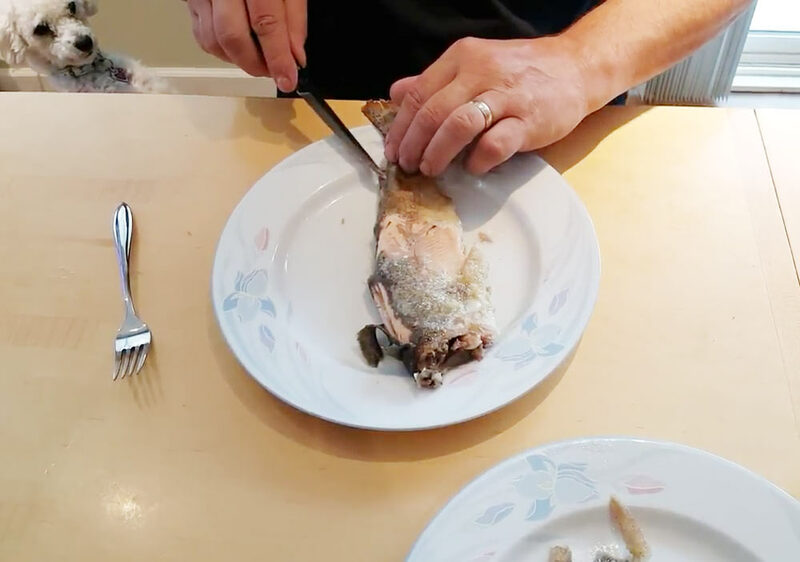 The cooked trout will split into two parts with the bones sticking to one side. Flip the fish over so that the bones are facing up and then starting near the tail grab the spine and gently lift – you will be able to remove all the bones at once.